While it’s true that Macs tend not to suffer many of the ills that PC users must deal with (viruses, defragmenting hard drives, etc. ), there are still a couple of roadblocks on the road to computing nirvana. One that we see a lot here at mac-fusion is adware, also known as “ad injectors”. In fact, Google just released a survey showing that about 5 million users’ computers are infected with adware. If you’ve ever experienced this for yourself, you know how nefarious this stuff can be. While not technically considered a “virus,” this is a type of software that is quite annoying because it generates pop-ups and inserts ads on pages where there normally wouldn’t be any. Normally, it only gets installed when the user actually installs it, but sometimes it’s hard to tell the difference between legitimate software and the fake stuff. Not only is adware annoying, but it can also be quite difficult to remove. We here at mac-fusion have become well-versed in how to eradicate various types of adware, and we can often do the job for less than $40. But if you don’t know your way around the system folders it’s best not to attempt removal on your own. That’s why this week’s app is AdwareMedic. 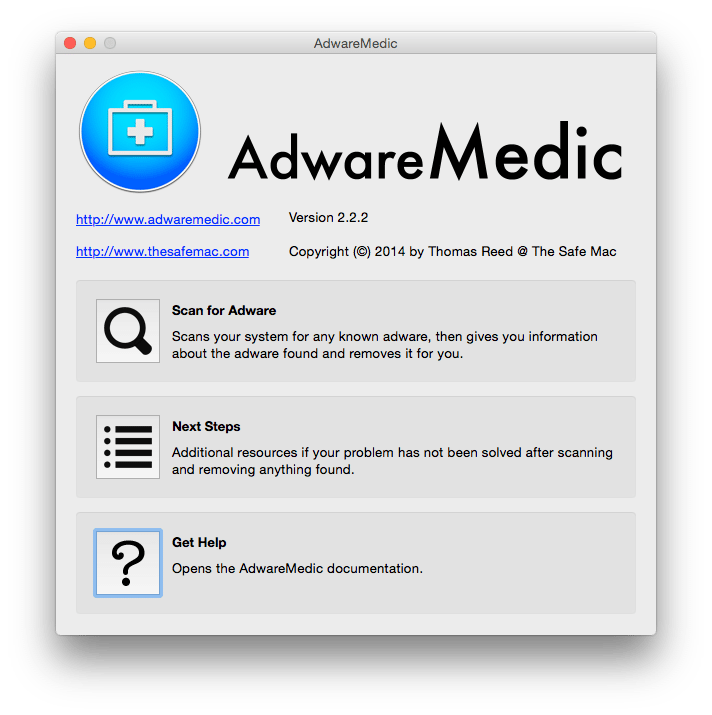 AdwareMedic is a free app that can search your computer’s system folders for many of the known types of adware, and remove them at the click of a button. In our experience, it’s able to find most of the major threats and clean the computer completely. Plus, the developers are always updating the adware database to keep up as new types of malware gets released. When you first open the app, there’s a very simple menu giving three options. Just click the button that says “Scan for Adware” and the app will begin searching your computer. If it finds something, it gives you a complete breakdown of what malware was found and its location on your drive. I’m not including a screenshot of that because I didn’t want to install adware on my work computer! All you need to do at that point is click to remove it. The program may also tell you that you need to restart your computer after the removal and run the program again once your computer boots back up, so go ahead and do that. This just helps to make that everything is truly deleted. Even if you’re not seeing obvious issues, it can’t hurt to run the scan. There might be remnants of past software lurking behind the scenes and slowing down your machine. And of course, if Adware Medic doesn’t do the trick, we’re here 7 days a week to help you out.